This is another example from my incised landscape series. 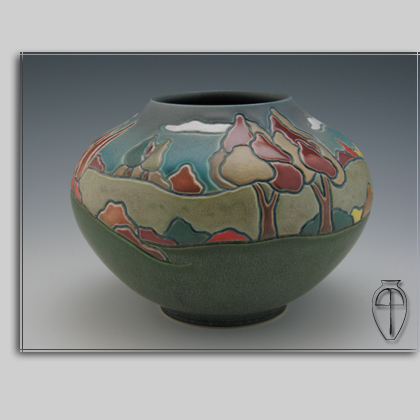 5.5″ tall with a good amount of colors that catch the eye. Nice! SOLD!